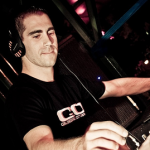 Giuseppe Ottaviani, ReOrder and Victoria play our remix! It was a really great surprise to find out that no other than Vandit's superstar DJ & Producer Giuseppe Ottaviani has played our upcoming First Effect remix of Latham & Quano - Point of Impact! Two other great DJ's have also test-driven our remix, namely ReOrder and the lovely Victoria. Amongst other DJ's marking their upfront support for the release, we find Manuel Le Saux, Suzy Solar, Sly One, and many other up and coming DJ's! It's hard to express all my gratefulness for all the nice words we've received on this tune, so I really hope it will do well in the charts... Chris and I sure keep our fingers crossed! As far as I know, the tune will be released on the first of August on Silent Shore Records, in the meantime, here is a (large) extract of ReOrder playing it! I'm moving my website to a whole new system with a new layout, and this will allow me to update it way more often!! It means more fresh mixes, more content and more rants!! Anyway, you'll see that most of the mixes aren't there yet, I'm moving them from the old site. I figured it would be better to first move then move the mixes, since the old site was getting REALLY old (I made it in 2006!). So, welcome here!! And go check the Trance Mutation Broadcast episodes!